The mission seems simple enough: Extract a pharmaceutical magnate from Russian soil. But nothing is as it appears to be. A desperate call thrusts Captain Tucker Wayne and his stalwart military dog, Kane, into a frantic race to rescue the brilliant-but-deluded Abram Bukolov from a cadre of skilled assassins. Hunted and betrayed at every turn, Tucker and Kane must discover the truth behind a horror out of the ancient past that can be weaponized to terrorize the modern world. As time rapidly runs out, the deep and intimate bond between dog and soldier will be tested to the extreme. 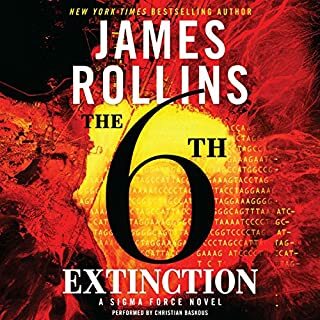 It will take all of their skill, talent, and, most of all, trust in each other to piece together a mystery going back to the origins of life on Earth, to discover the key to an ancient peril that can destroy the heartland of America, and, with it, the world. Absolutely! 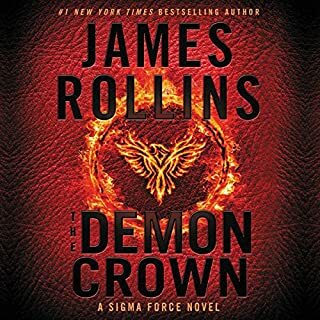 I loved the interaction between Cain and Tucker and the interesting historical information as well as the edge of your seat, non-stop action. Definitely! Lots of great twists and turns that I didn't see coming. 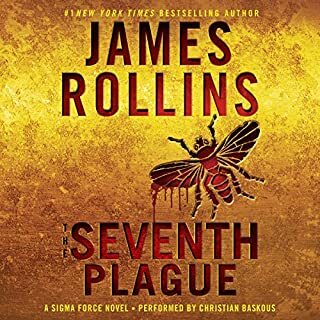 I liked the interesting locations and characters in the book and how the plot unfolded seamlessly. Which character – as performed by Scott Aiello – was your favorite? I liked them all, but my favorites were Tucker and Cain. No, it is quite a long story, so I listened in segments. I'm sure when I listen to it again, I'll hear details that I missed in the first listening experience. I was very impressed with this narrator. I have never heard of him prior to this book. He does a wonderful job of portraying different ethnic accents and sexes and making each character very individual. He has a voice that is pleasant to listen to. 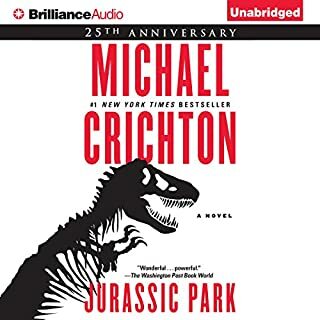 The narrator makes such a difference in an audiobook. 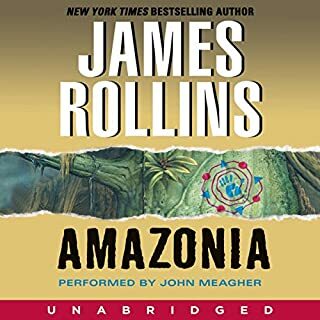 I've bought audiobooks in the past that have been great stories, but the narrator ruined them. Not so with this one. I look forward to more books narrated by Scott Aiello. 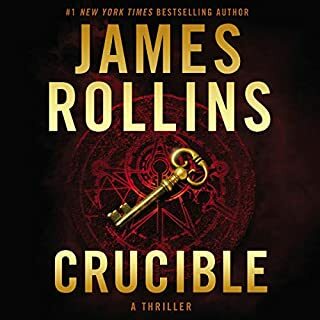 If you have been looking for the vacuum left by Vince Flynn and his Mitch Rapp, this book will leave you feeling that void has been filled. 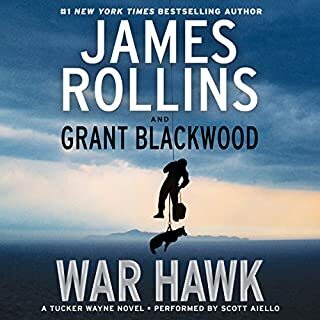 A non-stop action packed book with great characters, including an amazing war-dog, you won't be able to put this one down. Extremely well researched, this book also delves into obscure locations along with a blur between fact and fiction with its scientific premises. 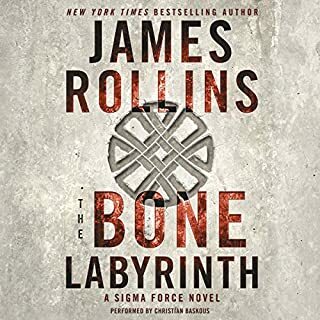 If you like this book as much as I did you'll want to also read Rollins' Sigma Series in order. You won't be disappointed!! Yes indeed! If you thrive on being pulled from one thrill to the next while enjoying the excellent picture /plot being narrated by a true pro...you'll love this book! Tucker, hands down. His confidence and abilities as well as his deep loyalty and love for Caine is awesome! No, but I am soooo glad I got to experience his talent in narration. He truly knows how to bring each character to life in their own unique way...even Caine the canine. Every time Tucker expressed his deep devotion to Caine, I felt a certain kinship. I too have two wonderful German Shepards I feel the same love and devotion. To the author I say...Excellent book and I look forward to the next Tucker/Caine adventure. To the narrator I say...Well done and then some! The beginning was fantastic, Boer war, action, illness. Then Tucker the agent and his dog Kane in Russia protecting against assassination attempt. Unfortunately the story then began to drag a bit with predictable action scenes and enemies that continue to appear. Fun but not great. I thoroughly enjoyed the story. Being an old sailor I do wish the narrators would pronounce the nautical terminology correctly. Most do not. Any sailor knows the word "Forecastle" is pronounced "Foksle" and "Boatswain" is pronounced "Bosin". There were more words like "Spanker" and "Capn" to but that doesn't spoil the story. Start this book and you won't want to take a break. What did you love best about The Kill Switch? The interaction between Capt. Trotter and Kane. Yes! Always wondering who Trotter and Kane could trust. Scott Aiello was spot on. The story of Kane's litter mate will stay with me forever. Definitely worth listening to again. I look forward to more adventures of Trotter and Kane. Exceeds expectations by a huge amount! 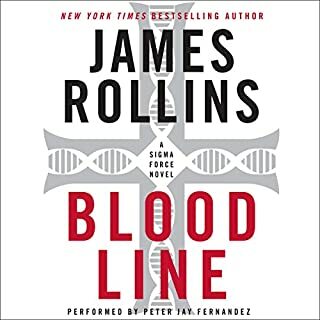 First I need to explain that James Rollins is not among the authors whose books I automatically pre-order. I've read most of his novels many of which are terrific, but too many of them are not worth reading at all. With respect to Grant Blackwood I had an even dimmer view. Most of his novels are, in my opinion, mediocre or worse. For example, the Jack Ryan Jr novel he co-wrote with Tom Clancy was a poor effort. His solo Ryan Jr. novels written since Clancy's death have been very disappointing (I hope the upcoming one, Tom Clancy's Duty and Honor released on June 14, 2016 is better).. Mark Greaney has also written Ryan novels since Clancy's death and all are better than Clancy's best. I pre-order all Mark Greaney novels because he NEVER releases less than stellar work. Greaney is, in my view, the best living author of espionage thrillers. 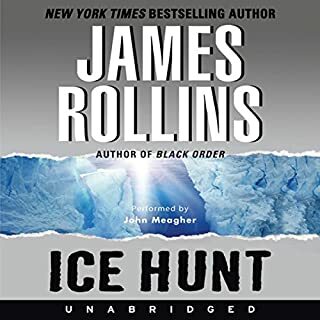 James Czajkowski, using the pen names James Rollins and James Clemens, first published in 1998. He is more prolific than most writers of the mystery/thriller genres. He has released 35 full length novels and several novellas (not all of the mystery/thriller genres) during the last 19 years. 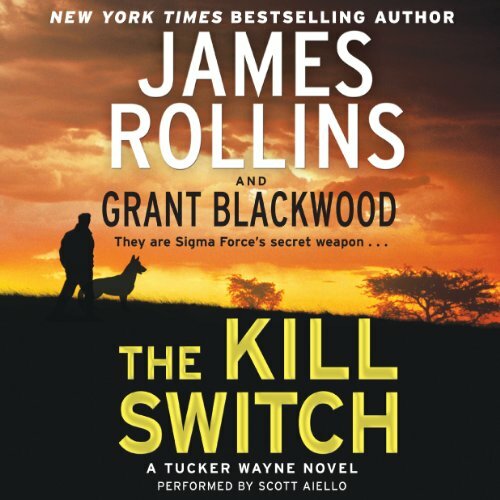 The Kill Switch is a thoroughly fascinating novel which is a spin off of Rollins' SIgma Force franchise. It is an espionage thriller. It is also a contemporary science fiction thriller. LUCA (Last Universal Common Ancestor) is the material around which the entire novel is built. Evolutionary/biological theory holds that there was approximately 3.5 billion years ago a life form, neither plant nor animal, that spawned both the first plant and animal kingdoms. Conditions on earth at the time were much hotter and the atmosphere would have been deadly to most current higher forms of life. The Kill Switch theorizes that (1) LUCA has not gone totally extinct and (2) if LUCA were released into today's world it would become a weapon of mass destruction. They are fascinating conjectures; although both are very likely untrue, it does make for great science fiction. Another interesting aspect of The Kill Switch is Kane, the dog we all wish we had as a companion. The breed is Belgian Malinois, which is very intelligent and highly trainable. Kane, who saves Tucker Wayne's life several times, is as much the protagonist of The Kill Switch as Tucker Wayne. 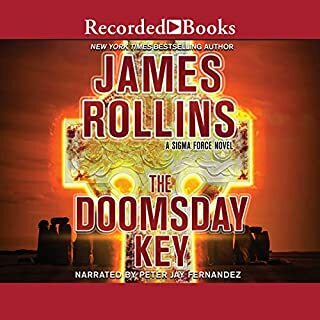 The Kill Switch is an extraordinary novel and a great listen. The audiobook is very well narrated. Great job by Rollins and Blackwood! HIGHLY RECOMMENDED!! 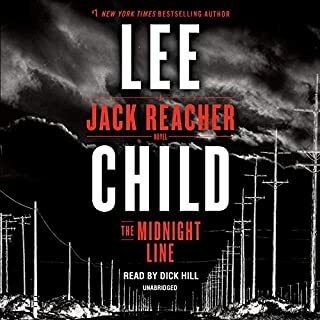 Where does The Kill Switch rank among all the audiobooks you’ve listened to so far? An action filled story that kept me listening when I should be doing other things. I enjoyed the twists and turns of the storyline. What a rocket ship ride....bad guys look like good guys, the damsels in distress look weak, and then there are the pillars of strength. All characters have their chance to prove what they really are and what they stand for. This is a thrilling tale of an exmillitary ranger and his dog traveling through the civilian world as privateers in the world of dirty tricks.... And survival requires creative thinking, and the bonds between a man and his dog. If you could sum up The Kill Switch in three words, what would they be? What was one of the most memorable moments of The Kill Switch? The relationship between Tucker & Cain, especially in the cave with Anya. Yes. Scott's craft really shines through in this book, with all of the well prepared characters of different accents and expressions. The listener is able to listen to this book as if it were a movie with various characters - all played by one person! Really enjoyed it. Tucker's flashback regarding a member of Cain & Tucker's pack - Cain's litter mate. Not usually into spy novels - but really liked this!